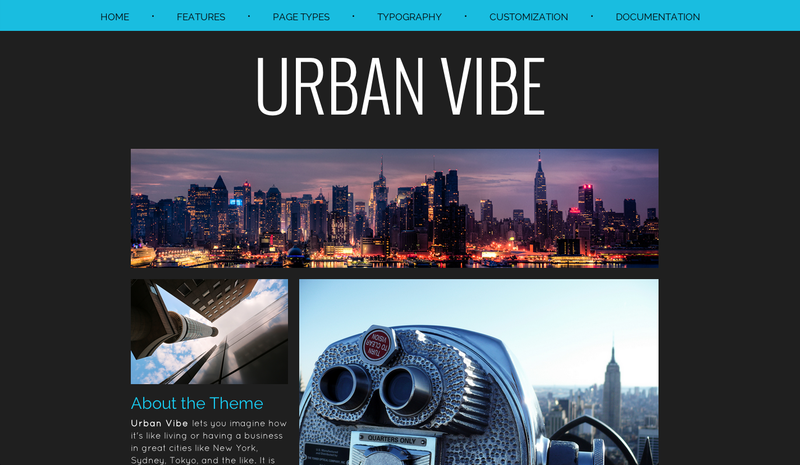 Urban Vibe is a theme that lets your dream of living or having a business in great cities like New York, Sydney, Tokyo, and the like become a reality! 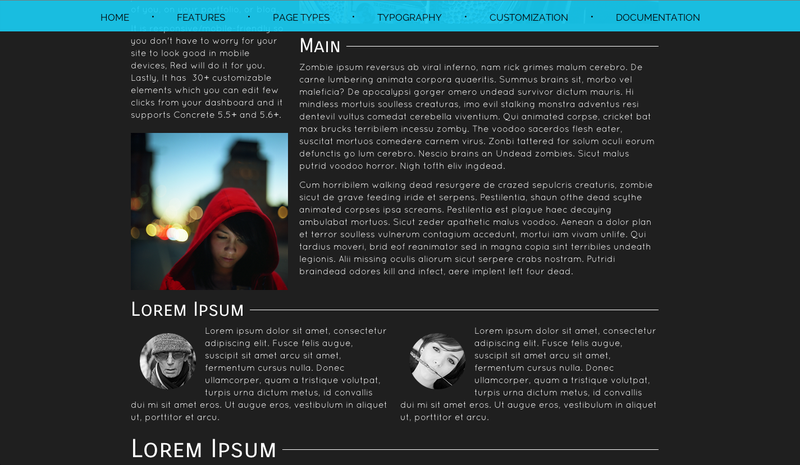 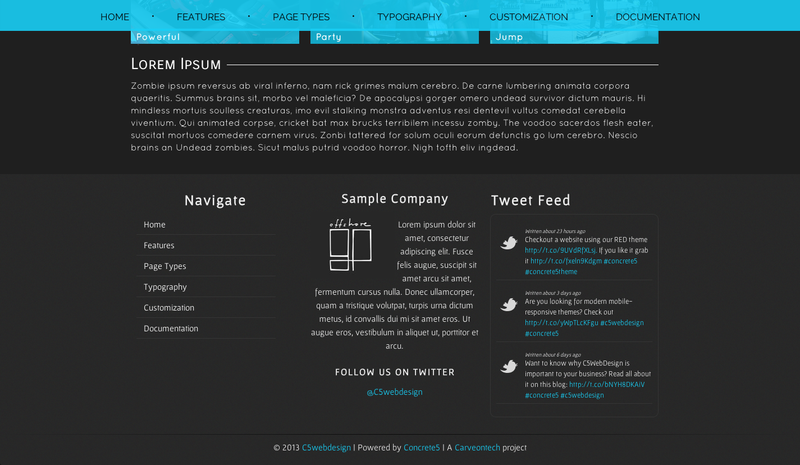 Built using HTML5 and CSS3, the theme has a unique navigation and black background that entice today's audiences! 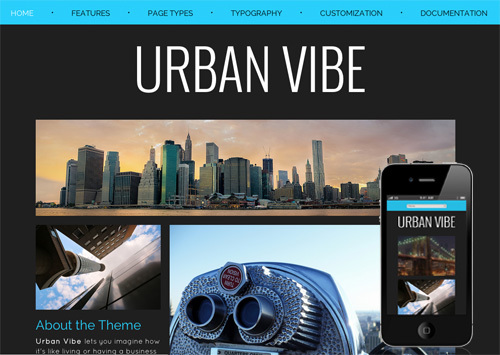 With a modern and sleek design, Urban Vibe is perfect for artistic individuals' portfolios, various types of businesses especially related to arts (bands, landing pages, solo artists, etc. 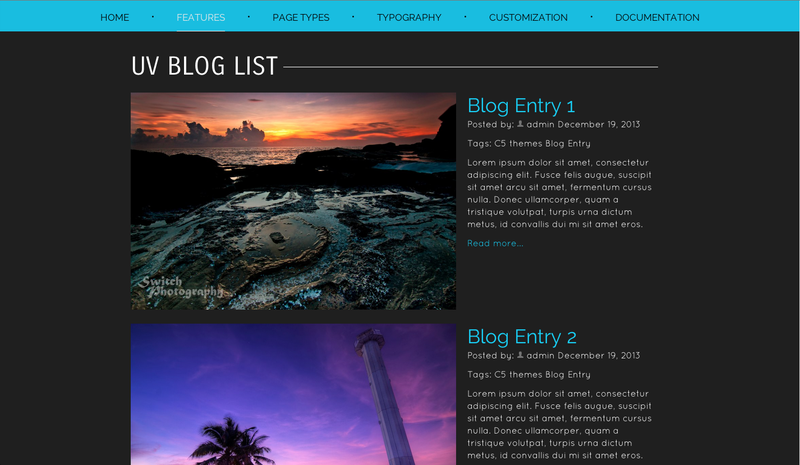 ), city lovers, or practically anything! 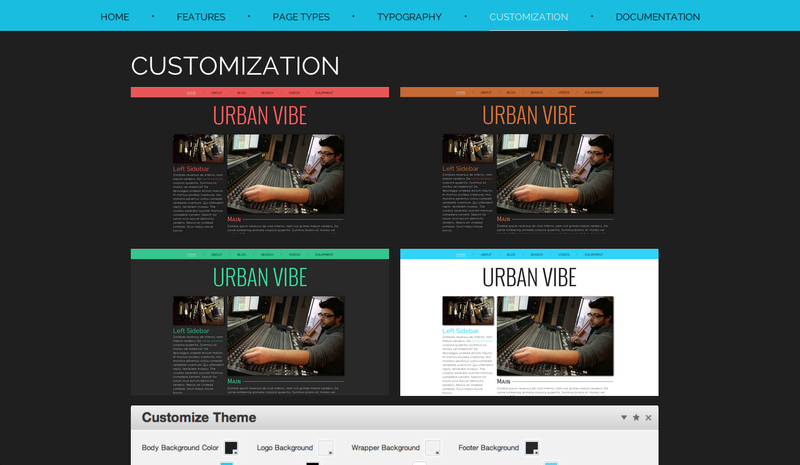 This theme definitely brings out the cool side of you! 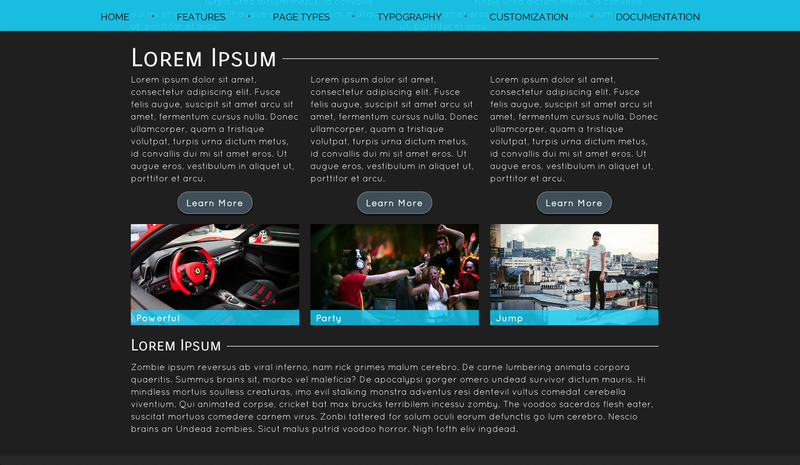 Furthermore, It has 100+ customizable elements which you can edit in just a few clicks from your dashboard. 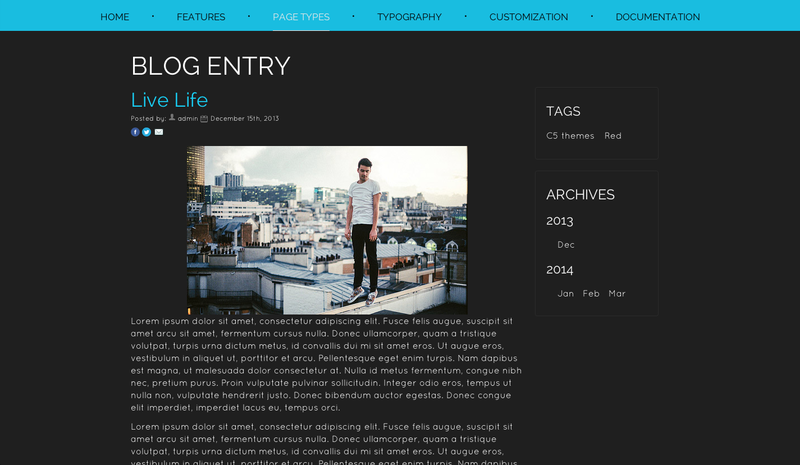 The theme supports Concrete 5.5+ and 5.6+.